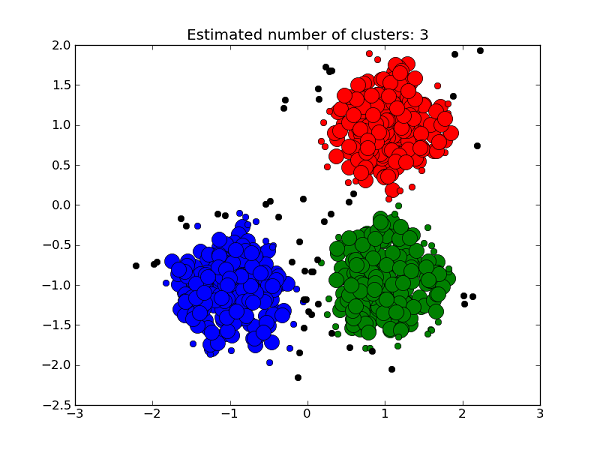 Again, the last 12 months of clustering shows very little change in cluster membership. Most of the time, the sectors are intuitively considered to be one cluster, while occasionally the utilities sector shows a lack of correlation to the rest of the group. The choice of threshold will change the number and stability of the clusters- with higher thresholds showing more clusters and a greater change in membership than lower thresholds. As much as I have learned about very sophisticated clustering methods in the last year, I often am drawn back to the simplicity and practicality of FTCA. From a portfolio management standpoint, it makes using clusters far more practical as well for tactical asset allocation or implementing cluster risk parity. Thanks again for sharing ! This algo seems to produce awesome results compared to “standard” ones. Great contribution ! I’d like to test it on different sets of Securities/asset classes. hi Pierre, good to hear. happy to share. i assume you tried it with ERC or mincorr etc. I tried it with a large sample of products, a threshold of 0.9 (not very aggressive), risk parity between clusters and equal weight inside them. Aside from reduced turnover, negative outliers seem less frequent and results more linear than with other clustering algos. Thank you for yet another simple but extremely powerful algorithm. I managed to write it in AmiBroker, my platform of choice, in about 80 lines. Now I have to test how effective it is in 2 basic portfolio management systems. You mentioned using clusters for RP and TAA. To test in a RP system, I will probably try assigning weights inversely proportional with the asset & cluster volatility. However, I am very interested in TAA and clusters, which you mentioned above. Anything about them together would be greatly appreciated. hi stephan, thank you- if you are interested in sharing the code as open source for readers I will be happy to post it or link to it. I will probably discuss how to implement cluster risk parity with FTCA and other applications over the next few blogs. In general for TAA, one easy approach is to just treat the cluster as a single asset for use in either momentum, absolute momentum etc. David, thank you for the reply. I will try the suggested approach for TAA. 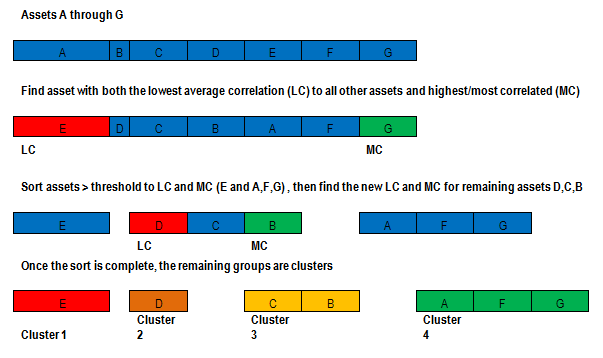 Using each cluster as an “asset class” for momentum calculations is a great idea, and is indeed what I was looking for, to leverage the resulting clusters. The next step is to find the optimal way of including the cluster momentum as a factor in the final weights calculation. About the clusters code: I would say that the resulting code is quite tight with AB, but not trivial, as it has to generate different clusters sets at each bar included in the backtest. I appreciate the offer to post it and I’ll consider that.